Cadillac is a name that is well known for cars. They currently sell Coupes, Sedans, Crossovers & SUVs, V-Series & Racing, and Concept Vehicles. Cadillac was eventually bought by GM, but was founded originally in Michigan on August 22, 1902 by William Murphy and Lemuel Bowen. Cadillac corporation operates mainly in United States, Canada, and China with more than 170,750 vehicles sold to date. The best customer service number for Cadillac is 1-800-333-4CAD or for customers in Canada 1-888-446-2000. For complaints outside of North America, international inquiries can be directed to 1-905-644-4112. Cadillac tries to bring complete satisfaction for their users, and are interesting hearing feedback from it's customers. If you have a problem and need to write to Cadillac Customer Assistance Center, you can do so at the address P. O. Box 33169 Detroit, MI 48232-5169 or in Canada at GM of Canada, 1908 Colonel Sam Drive Oshawa, Ontario L1H 8P7, Canada Mail Code 163-005. CUE screen is totally black, and to my understanding there have been a plethora of complaints of customers having to replace the their screens, is there a fix for this and why have Cadillac not recalled this item? I had the engine replaced with a donor engine at Gold Coast Cadillac. Now at 132,000 miles I’m told that the engine is blown by Mahwah Cadillac of NJ. I bought a Cadillac thinking they were reliable cars. Obviously they are NOT! I’m inquiring as to if Cadillac will give me some sort of discount having the engine replaced AGAIN? Gentlemen or ladies - Whom ever can help me. My 2016 Escalade is not only strange but, it acts strange all the time. I have taken it too the dealer Allen Cadillac in San Juan Capistrano and they told me my transmission is perfect??? REALLY?? It is so bad but they won't admit it (maybe too much work, or they just can't fix it) .. They will not contact me, nor have they ever called when I have put in there questionnaire that my car is not fixed and the transmission still rumbles on the freeway or any road, and the shifting is really strange and it seems to get confused, let alone the jerking it does. I can walk up to my car and open the back gate and the radio comes on.-- really is this right? The music system is great but when you leave the car and come back it will play something totally different than what I was listening too. This has been a great car but I WANT OUT OF MY LEASE so I can get a dependable car. PLEASE HELP ME TO GET OUT OF THIS LEASE....I have talked to a Cadillac Service Manager and told him of my troubles. He asked me which car and what year do I have. When I told him about the car, and the year, his reaction told me all that I needed to know. "oh that year has had it problems---- with the transmission". If you need to research the car the vin # is 1GYS4CKJ3GR303259. I did lease this from Allen Cadillac and would love to take it back and leave it there permanently..-- once again PLEASE HELP ME TO GET OUT OF THIS LEASE!!!!!!! I have had the car for 3 years and the last year is jerk, rumble, and -- well you never know what is next? Thank you and I will look for your help in the return of this car. I just bought a new 2018 cadillac XT5 last October 3018, since then I am complaining about the rear backing camera because the guidelines from the camera come and go. And finally last week they change something from the camera so it will work properly. But it become worst because now if you reverse you can see a black stripes at the bottom of the rear camera, like a portion of the bumper of the car but when I return it for service they told me that’s normal & all XT5 camera are like that. I need my money’s worth Cadillac a properly working & correct view of the camera. Where can I direct my complaint? I just had to have my Cadillac towed to the dealership, the vague answer I got was that it was a computer software problem. I was driving kids to school when this car started jerking, stopping and not allowing me to accelerate or stop. This is a HUGE safety issue had I been on the expressway I would have been involved in an accident. The dealership and Cadillac think this is no problem, it is a major problem. If this is how GM makes cars let me tell you this will be the last GM car I ever own or lease. I have been loyal to GM my entire driving life. I worked for GM, but this is ridiculous that I have to no wonder when the next episode will happen and what will happen I do not feel safe in this car and I don’t want it, yet I have another year on this lease. This letter is going to be published against the dealership for their lack of concern and against GM for their lack of quality – I will put this on the Web, and on all Social Media sites to hopefully save some lives from thee lack of quality from GM on their most expensive line of CARS> ridiculous complete and totally disgusted. On March 18th, 2019 I took my 2007 Pontiac Vibe to Frank Shirey Cadillac, inc in Oak Lawn, Il to have a passenger air bag recall done. The auto was inspected by Gale Asikin, Service Consultant, and no issues were found. When I picked up the car, the light in the radio was out, the temperature knob light would go out when hitting a bump and the gear selector light was out. I returned to the dealership that day and informed them of the problems. They scheduled a followup for the next day. They kept the vehicle for the entire day. I was informed when I picked the vehicle up that the dealership had run a diagnostic test and the cost to repair the vehicle would be in excess of $1200. I asked to speak to the Service Manager, Brett Nordmeyer. He told me that nothing they had done caused the problems. I asked to speak to the dealership manager, Dan Paz. He told me that the would be willing to work with me to get the car fixed but would not cover the entire cost of the repairs. I asked to speak to the owner of the dealership. Mr. Paz said that he would speak to the owners secretary to arrange a call. I as of to date have not received a call or any other communication from anyone at the dealership. In addition the cover for the passenger air bag, subject of the recall, in now popping up. A clip use to hold the cover was broken and never replaced. I Leased this vehicle new from Crestmont Cadillac on 10/19/2017 Vin ID 1G6KB5RS1HU203216 nothing but problems. I discovered on 06/18/2018 during routine maintenance (0il change and tire rotation) that this vehicle had been hit, repaired and painted before it was leased to me. This information was not disclosed to me at purchase. I found out from service on R/O 6106231 on completion oil change and tire rotation. This information was included on R/O 6106231. Over the past year with every oil change I have to return when the oil life indicator read 20 percent oil life left, no oil dipstick. They either added oil or changed it every time. The only invoice I have reflecting this is R/O 6103348 03/21/2018, R/O 6106231 06/28/2018 and R/O 6109889 10/10/2018. With the last oil change after oil consumption test was performed I was given a corporate bulletin #01-06-01-011j: Information on Engine Oil Consumption Guidelines-(Nov. 30, 2017). I was told this was normal with the 3.6 engine. 10/24/2018 R/O 6110385 transmission problems. The vehicle felt like it was riding on rocks and it was on the highway smooth asphalt, The solution to this was to flush the transmission. This seem to work and has not reoccurred. 12/28/2018 R/O 6112553 wheel concerns-noise in front end. This would not duplicate at the shop. 01/09/2019 R/O 6112905 noise in the front end. Service advisor wrote it up as tire noise, I did not state that. On the same R/O 6112905 Cue system outage reported and transmission jerking from 1st to 2nd. The Cue system replaced and was given a corporate bulletin that transmission is ok jerking #16-NA-361(JUL 21, 2017). The front end noise was unable to duplicate. 01/30/2019 R/O 6113640 returned because of the noise in the front end. They replaced the drive shaft to eliminate noise and this did not work. The vehicle was in for service for five days. 02/25/2019 R/O 6114514 return with front end noise and ask if the tech. could he take the car home and drive it. The car was in the shop for thirteen days and during this time the service advisor called me and told the tech finally heard the noise and wanted to know if it only happen on a cement surface. I told him no it happens at any given time. The vehicle was returned to me with nothing being done and with the same problem-noise in the front end. The R/O stated he did not duplicate. I spoke with the Service Manager Kevin Gillespie he stated the tech had not heard it enough to repair and told if it happen again to bring it back. I ask him at this point what would he suggest I do and he recommended contacting General Motors. I told him I would prefer to speak with the General Manager first and he was on a call. I left my number for him. Alex Parks called and I missed the call. The vehicle started making the noise the night I picked it up and still is, I have gotten to the point where I just turn the radio on because I cannot stand it. I have a factory and extended warranties on this vehicle and they cannot fix it and I am suppose to keep driving as is. I am at the point where I feel it is unsafe. This is a lease vehicle and I did not purchase it. The car belongs to Crestmont Corp. I have been making the payments in this condition since Dec. 2018 and something needs to be done. 03/14/2019 I called Mr. Parks and left message on his voicemail. He returned the call on 03/15/2019 and I explained the situation to him and he stated he was unaware of this problem and would look into it on 03/18/2019. As of today 03/21/2019 I have not heard from him. Also l had to return with the new Cue system it locked up again 01/16/2019 R/O 6113118. It has locked up again since that time and I just turn off vehicle and it came back on. I HAVE RECENTLY BEEN DIAGNOSED WITH BLOOD CANCER/ANEMIA--I NEED A CAR I CAN DEPEND UPON ALWAYS. IS IT THE DEALER OR IS IT THE CAR CAUSING MY PROBLEMS? IT IS ALL THAT I CAN COUNT ON FOR ANY HELP OF ANY KIND. I HAVE NO HELP-- THANK YOU FOR TAKING THE TIME TO LOOK INTO THIS MATTER. the paint on the hood of my 2011 Escalade which i purchased new is cracking & the dealer said Cadillac will only pay $300.00 towards repainting it. I have been complaining about this for the last 2 years. BARTON CADILLAC IN FOR SERVICE, GOT CAR BACK IN 2 DAYS, COULD NOT OPEN HOOD, STILL BLOWS COLD AIR, CALLED DEALER TO RESOLVE , SPOKE TO 5 PEOPLE IN 2 DAYS, ALL GOING TO CALL BACK ,NONE DID. ALSO OVERCHARGED FOR SERVICE. I leased a 2018 Cadillac XTS in late September of 2018 from Gold Coast Cadillac approx. shortly thereafter I started experiencing trouble with the Bluetooth telephone. When I made a call the person receiving the call hears a lot of static. I took the car back to Gold Coast kept it for a day and said they checked it out and fixed the problem. I took it back a couple of days later for the same problem. I then returned it approx. five more times for the same problem and was told that I it was fixed. The next time it took it back they kept the car f car for three weeks during which time I did not hear from them as to the status of the car so I called and was told again that they had forgotten about it and apologized I was told to come pick up the car. I then drove the car home with the same problem. then I was told that they had discovered a short and repaired it.It worked for approx. four weeks and it is now not working again the same problem exists. At one point the service manager dove the car and thought that it was possibly my cell phone but used his phone and discovered it was not my cell phone. I feel that it took the car back again that it will not be repaired and if so will not last. We own a 2015 Cadillac SRX VIN # 3GYFNEE39FS509754 and have had nothing but headlight issues. One evening my wife was driving behind me and I realized just how dim they were. When we arrived at our home she told me that she always drove with her high beams on until someone flashed back at her. This is clearly a safety issue. After a number of trips to Harvey Cadillac we were informed that this has been an issue on models 2012 thru 2015. This is a major problem and a safety hazard which needs to be addressed. 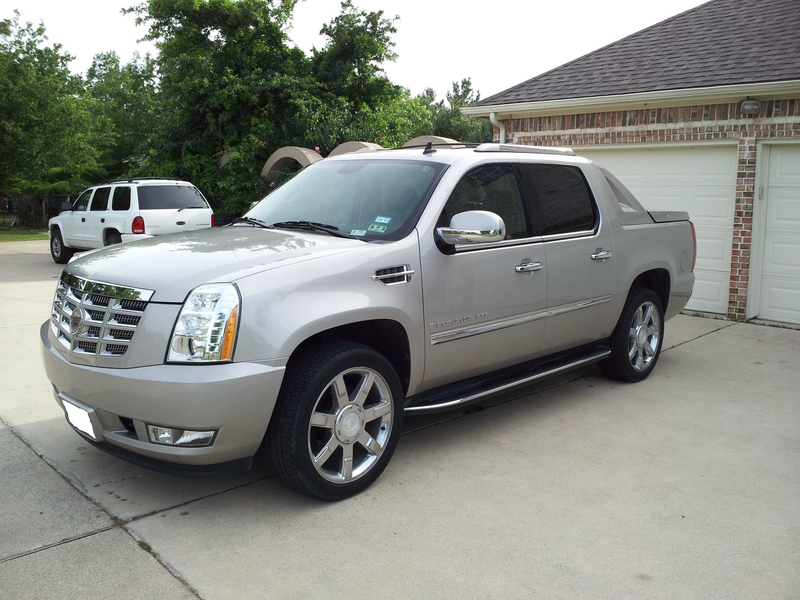 I have a 2016 Cadilac SUV , Platinum and I had issues with my transmission and shaking when idling since the 1st day. I took it to the dealer many times and I was told every single time that the manufacturer itself has a computer problem, that cannot be fixed so far. The dealer even put a new computer in the car. It did not work. Now I was told not to waste my time to come back, until they update the computer in the car. I have no idea what that means, also why do I have to pay over $1150.00 a month for a car that does not work properly. I purchased a pre owned 2011 Cadillac SRX from Ubehlor & Sons in Jasper In and you CANNOT drive after dark because of the headlights. If the headlights are not on HIGH BEAM the vehicle is unsafe to drive. I took it back to the dealer and they said there was nothing wrong with the lights so they cleaned the lenses and sent my wife on her way. This is a very dangerous issue that needs to be addressed quickly. I thought I was purchasing a "High End Vehicle". If we cant get this issue resolved I`m going to trade it. It is also now having electrical issues. Very disappointed in Cadillac's handling of the headlight issue with the SRX model. Just had to replace both headlight assemblies due to very dim lighting. The dealer claims that this was the first that they had heard about this problem. Can't believe that with social media being what it is today that this is a true story. I was brought up in a time that if the problem was yours you owned up to it. Funny thing is that they wanted to give me a trade in price. May have been interested but not under the circumstances. Makes some of the foreign model more appealing. And me being one that said you would never see one that I owned in my drive. Have to be more careful what I say. just a note that we are very disappointed in our 2013 Cadillac CTS. Had to replace the two rear tires with less than 20,000 miles on them and they were not over inflated. Had to replace the rear hub bearings at 32,000 miles, ($1200.00), now have to replace the two hub bearings on the front. I have a 1999 Mazda Millenia with124,000 and haven't had to replace any of that so far. Its so noisy you can't even enjoy the radio. Have always thought it was loud and a lot of road noise. Now I've noticed the clear coat is peeling on the roof around the sun roof! Kind of pissed now! In my mind, not what you'd expect with a vehicle bearing the name "Cadillac". I was proud at first saying I owned a Cadillac but can no longer say that. Was checking into trading for a new CTS because we really like the looks of them but can't because I no longer can trust the quality of them! guess we'll look at a Honda or a Nissan. Maybe another Mazda! I scheduled concierge service for my 1st oil change on my 2018 xt5. An appointment was set for 11:30 A:M the next day (11/09). Not only was no service provided, no phone cal, text message, etc. I called to inquire as to delay and was told that delay at dealership was to blame but that I'd get a call very soon. Two hours later...no call..no service...no nothing. Again I call and I'm told there's no record of my request. Worst service ever!! Monday November 5, 2018, I went to get a loaner from Mr. Al Berry, he began to tell me his politico views about Donald Trump, The Supremes Justices and the Caravan coming across Mexico towards the U.S.A. I do not care to discuss politics with anyone and the last place I expected to discuss politics was in the dealership. Mr. Berry upset me very much that I do not want to ever deal with him again. I am a Viet Nam Vet and to this day I take medication to help control my anxiety feelings and medication for my mood swings. I did not ask for this conversations with him, Even as I write this memo I am still irate and upset, This complaint is also being send to Mr. Vic Landa Service Lane Manager. Although this is the first Cadillac I have ever purchased, (in tribute to my dad who forever had cadillacs up to his passing) and it is the worst car that I have ever purchased. There have been mechanical issue one after another after owning the vehicle for only 8 months, with GM openly knowing about at least one of the issues. Right after the purchase of my Cadillac SRX, I had to purchase new struts all the way around from the dealership. At $3500.00 they were pretty expensive. Three months later, those had to be replaced because my car sound like the front end was falling apart every time I hit a bump. Just 4 months after that, I go back because once again every time I hit a bump, it sounds like my front end is about to fall off. I take the SRX back to be inspected only to be told that once again, it is my struts. So once again, I am looking to get struts gotten from Cadillac dealership? This is the THIRD time that struts have have to be replaced, in an 8 month period, on my SRX. Secondly, 2 months ago I attempted to remotely open my liftgate only to find that it would not open. I took vehicle to GM dealership to find out that I needed a rear liftgate control module. Before that, I opened the rear area to find the module submerged underneath the rear cargo area in about 3 inches of water, which probably caused it to burn out. A new control module was installed and solved the issue until this morning when again, I attempted to remotely open the liftgate, only to find that it would not open. I then opened up the lower cargo area and again the module is engulfed in several inches of water. Research shows that this is a cadillac design issue that continually allows water to reach the module area and burn it out. After installing a new one and to have to do it again for the same issue just TWO months later is freaking ridiculous. I am going to file a complaint with the BBB, and will be posting my feelings and complaints with every social website that I can to tell others about how this supposedly good vehicle is nothing more that a "fake" money magnet who will drain you dry at some point. To date, in 8 months, I have paid about $8,000 in repairs alone. SMFH!! I want to and will be getting rid of this car as soon as I can! DONT buy Cadillac!!! I HAVE BOUGHT 7 BRAND NEW CADILLACS FROM RICK HENDERICKS CADILLAC IN NORFOLK. THIS LAST TIME I TRADED IN A LEASE THEY MADE ME AN OFFER AND I ACCEPTED ONLY TO FIND OUT THEY DID NOT PAY WHAT I OWED ON MY LEASE. I purchased a 2017 luxury 4-door sedan vin 1g6kd5rs9hu197272 at Ettleson Cadillac in Hodgkins, Il. the past 2 months. Please help. I purchased a certified vehicle from Plaza Cadillac. I had not drove it off the lot before the Cue began to have issues. A week later more issues still. What kind of certification are being performed by your dealer. I should not be experiencing these issues on a vehicle that was just certified unless the inspection was forged to sell the vehicle without having to fix the issues. I am very upset but not that Cadillac cares. •	Loud bang from the transmission or differential at times. •	Vehicle Cue keeps having issues. Began to move between applications by itself. Freezes and I am unable to perform any operation at all. I am concern for the safety of my family with all these issues going on. Should not be having these problems on a vehicle that recently was certified. Cadillac service advisers at Cadillac.com told me to wait for a call from a senior service adviser and they simply don’t bother to reach out and see what the issue is. I recently found out that the certified preowned Cadillac EXT I purchased in 2008 had body work done to it. I was not informed of this at time of purchase by the dealership or from the corporate office. I just thought the CEO of Cadillac would like to know about the fraud going on inside of his company. I have been a customer of Jim Colman Cadillac for over 15 years. I have previously leased Cadillac cars from your company and purchased a 2009 CTS in November, 2008 which I am still driving. The mileage on the car at this time is almost 31,000 mile which means that in the 6 years I have been driving this car I am averaging approximately 5,000 miles a year. I have been maintaining the car with your service department to keep it in good running condition. My issue at this time is that I took the car in to your service department on January 28th, 2016 with a coupon for an oil change that promised a rebate from GM so that the total amount I would pay would be $39.95. I spoke to your service representative, Martin Gonchar, who then told me convincingly, it was necessary to do a 30,000 mile servicing. I fell for it “hook, line and sinker” because I felt as though Jim Coleman Cadillac would only have representatives that are very knowledgeable. Martin first quoted me around $775.00 but when I said that was so much he immediately reduced the price to $705.00 which surprised me that your company does not have fair and ethical price structures. That should have been a clue that I was being taken. After I picked up the car and paid the bill, I decided to look-up the Cadillac manual when I got home and was shocked to see that I did not need the full service that Martin talked me into until the mileage reached 50,000 miles. I called Martin and he kept insisting that the 30,000 mile servicing was on his computer. When I pinned him down that it was not in the Cadillac manual and asked him what manual he was going by on his computer, he intimated it was a general type program that is meant for cars in general and not specifically for Cadillac. When Martin saw I was angry he said he would have Roberto, the manager, call me. Roberto never called. In addition, I have reviewed past invoices and found another blatant overcharge that I had forgotten about. Please see Invoice #CDCS658278 dated 08/13/14 in the amount of $184.50 and Invoice #CDCS665505 dated 02/24/15 in the amount of $1,288.13. The representatives were Joe Palante and Cesar Cuyun respectively. Please note that the dates are just 7 months apart and the mileage on the car was only 2,500 miles more on the 2015 invoice than on the 2014 invoice and yet I was charged in each instance for oil and filter changes plus some of the same additional services. I recall calling Roberto to complain and he said he was going to send a refund check to me which I never received. Unfortunately, I had complete confidence in the ethics of Jim Coleman Cadillac and I am shocked, distressed and angry that I have been so taken advantage of and deceived twice. I do believe a refund in the amount of $887.23 ($702.73 + $184.50) to Doris J. Leeds is deserved and is in order to rectify your company’s service department lack of ethics and to restore a long time customer’s good will. I been buying Cadillac for years back in April 2015 I bought a 2011 cts coupe from bommmarito dealership st. peters, MO. The salesperson name is Demetri I never receive my second set of keys first he told me he put the keys in the mail in which I never receive also its been almost a year he keep telling me to come up on a Friday, but he is never available. Also when I purchase the car the driver side bucket seat is broken he told me don't worry the car has a certified warranty and the service dept. will fix it for free. That was a lie too, when I took it to service they said it was not covered. I am very frustrated. I don't want to buy another Cadillac ever. I feel I could be treated better at a low rated dealership. You should not lie to people just to get a sale especially from a prestige dealership. My very first car was an old cadillac that my parents bought from an elderly neighbor. I loved that car! It was nice, I never had any mechanical issues even though the car was 15 years old, and the seats were extremely comfortable. My friends nicknamed the car “the tank” because that is what it felt like driving it. I felt safe and secure knowing that if I were to get in an accident, my car would probably not even dent. yes, cadillacs have a stigma of being old people’s cars, but I never felt safer in any car since owning “the tank”. Best car to give anyone just learning to drive. I give Cadillac a 3 star rating because they still make decent cards but not what they used to in my opinion. The Cadillac used to be the standard and now it seems to be more marketing hype around the escalade. Really all a Cadillac is now is a fancy GM motor with leather and a nice body. The other thing I can live without is the price tag, considering the fact that Cadillac's do need repairs just like another General Motors vehicle.